What does it mean to be “the friend of God”? Though he lived in a world at enmity with God, Abraham modeled an enviable walk of faith. When told to go, he went. When promised, he believed. When commanded, he obeyed—even when it cut cross-grained against his culture . . . and often when it seemed to make no sense at all. Abraham wasn't “the friend of God” (James 2:23) because of his intellect, his pedigree, or his fortune. Abraham was God's friend because of his faith. Is God calling me to do something radical? Which of God's promises apply to me? How can I lead my family in this godless world? 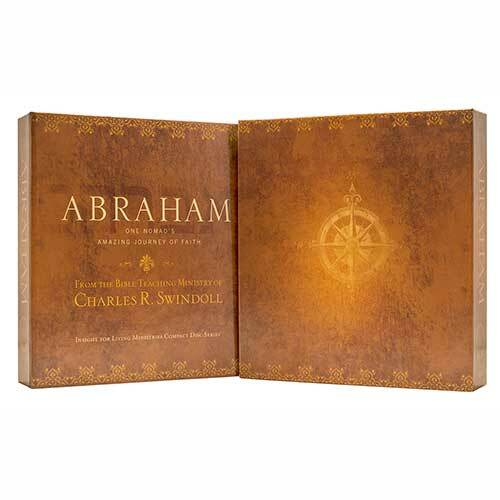 Copyright © 2012, 2013, 2014, 2017 ℗ 2014, 2017 by Charles R. Swindoll, Inc. All rights are reserved worldwide. "Holy Is He" lyrics by Claire Cloninger, music by David T. Clydesdale, copyrighted in 1985 by New Spring Publishing Inc., Rowdy's Groove Music, and Word Music. “Into Jerusalem” words by Susan Kay Fair, music by A. Steven Taranto, Arrangement copyright © 1996 by Choristers Guild. All rights are reserved worldwide.